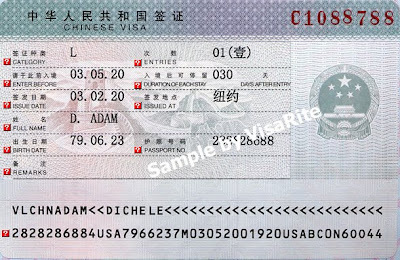 China Travel has the most comprehensive analysis of China's present visa situation. It explains the current situation with respect to all sorts of China visas. If you have any questions regarding what it takes these days to secure the various types of China visas, I urge you to check it out. Getting an entry visa to China is no longer as simple as it used to and its forcing many foreigners to reconsider their future plans in China. Nobody is entirely sure about why China had adopted this sudden change of rules on Visa but many had guessed that its due to the upcoming Olympic Games. Beside the main event in China, i think its also high time for China to sort out its inherent relaxed visa application procedure which had benefited many young mainlanders who had profited from foreigners by helping them to apply for a long term stay in Visa. Its good that they are cleaning up their own act but at the same time I do hope that they will clarify and simplify the rules after the Games as its for their own good from all perspectives.